Here at The Paint Manager, we get a lot of questions about DIY projects so we have provided some links to help answer some of the most asked questions. -Here you can find a useful guide to help you get started on putting a fresh coat of paint on the wood paneling of a room. -Follow this link to find a good guide on properly painting interior walls. -If you want to apply a protective coating to your garage floor to prevent staining and allow for easy cleaning, this is a very helpful guide. -Are you starting a project to paint the exterior of your home? This guide will help you get the job done. -This guide can help you choose and apply the right penetrating stain for your wood flooring, doors, etc. -Here you can find a useful set of instructions to help prepare for your painting project. 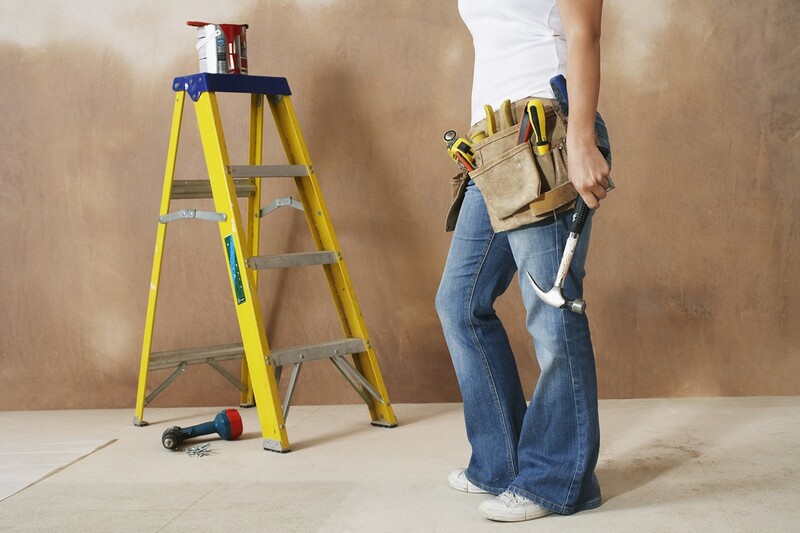 -Do you have dents or holes in your drywall that need repair? Follow this guide to help you get the repairs done. -If you’re interested in hiring a Painting Contractor, this article will help you get started. -This is a great step by step guide to help you perform a thorough inspection of your home. -Here you can find a few different methods to remove popcorn from the ceilings of your home. -In this tutorial, you can find instructions to help you remove wallpaper. - Here is a helpful video from The Idaho Painter. They breakdown all the steps to removing wallpaper in this video. If you're working on a painting project, their channel has some helpful tips to make the process easier. - HouseSmartsTV has some great D.I.Y. videos that help to make the process of getting your home projects done. Here is a video with some helpful tips on roof cleaning. - If you're planning on applying an epoxy coating to your floors, This How-To video by This Old House will show you the process to get it done properly for a great looking floor. Tips Bulletin has a great article that will help you tackle the removing of oil stains from concrete. - Are you planning on re-staining or re-painting your kitchen cabinets? This helpful video by the DIY Network explains in detail, how to properly prepare your cabinets and paint them. - If you're working on re-painting a home, here is a great video by DiyMovies SA. In this tutorial, they explain the process of preparing the exterior of a home for painting. - Crown Moldings add a great visual appearance to a room. This video, brought to you by DIYZ, will help you properly cut and fit your crown moldings for your room.